Ghana Is Infested With Terminators And Predators In 2016. Ladies and gentlemen, Ghana makes movies. Movies with action. Movies with adventure. Movies with special effects. Movies with famous characters from much better funded movies used in flagrant violation of international copyright law. You love The Terminator? Fond of Predator? 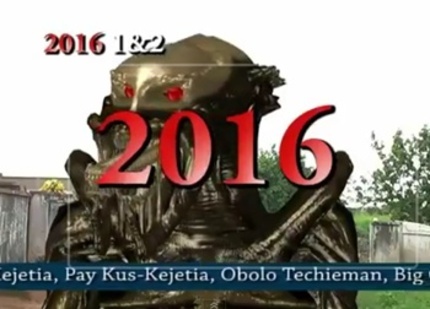 So are the people of Ghana, apparently, so much so that both feature prominently in hilariously low budget scifi / action effort 2016. Words fail to adequately capture this one, just take a look below. via Film Drunk and Captain Awesome. Where can one see this without having to go to Ghana?